The strategies behind data centre investment reflect overall best practice in investment, which is to balance risk against return in the context of specific requirements of time and outlay. There are certain idiosyncrasies in terms of data centres, in particular the fact that the cost of the equipment going into the data centre may be greater than the initial cost of land and construction, and the cost of operations (power, water, refit and refresh) will be greater than initial outlays. DatacenterDynamics (DCD) has calculated that less than 15% of the costs in a 20-year life will be incurred pre-commission (although an average figure cannot be easily calculated across the large number of possible variations). Investment decisions therefore need to focus as much on access to resources and the costs of these, and to establish a ‘whole of life’ view of the investment. An important aspect of this is the frequency of refit and refresh as the IT and network equipment housed by the data centre will evolve over time. As a rule of thumb, IT and networking equipment will update every three years and the infrastructure supporting it may need to also be updated. As with any investment, a business case needs to be drawn up for the data centre based on demand for the services it will supply and the costs and the risk of delivering these. On this basis it may be more difficult to build a business case for either enterprise or for retail colocation than for cloud, IT services or wholesale colocation, since the key demand trends are towards the latter. 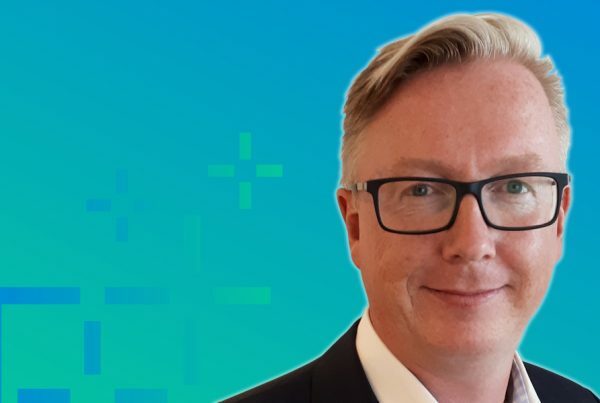 However, in established markets, the majority of large organisations will eventually operate a combination of their own ‘on-premise’ facilities, leased colocation facilities and a hybrid cloud platform to optimise their data infrastructure. Since the global financial crisis, there has been an increased awareness of the need for risk management to drive decisions, and cost has become a greater factor, which means that the need to reduce risk is balanced against the need to constrain cost to a greater degree than was seen previously. At an enterprise level, this can result in lower levels of redundancy, reduced capacity or a lower-quality solution. The first major factor in defining risk and return is the location where the data centre will be constructed. This needs to be looked at not over the short-term but throughout the life of the data centre. The focus of power availability has shifted from grid power to renewable energy sources and to guarantees about power pricing over time. The increasing primacy of cloud and networked data centres means a location that offers high levels of connectivity is an additional priority. It is also important to select a location that guarantees a quality of build and a quality of supply chain (vendors, consultants). Where all of these factors coincide, data centre hubs are created – Singapore, Amsterdam, Hong Kong, Dublin, and a number of locations across Scandinavia are all examples of where the asset base is influenced by foreign inward investment, rather than local demand. As with any form of construction-based investment, companies need to evaluate financial, operational, project execution, physical and regulatory risk. Risk management policies need to be aligned with compliance and regulatory policies, and should encompass technical and business continuity management and security. For issues such as data protection or compliance, the legal department will need to be involved. With investment decisions under increasing pressure and scrutiny, companies may be less willing to pay for building capacity that is not yet taken up. Modularity of build, and the construction of data centres in Lego-like units means that build can be synchronised with uptake. The process of matching revenue estimates against investment has to be revisited on a regular basis to take into account changing business conditions, particularly in a world where developments in software, cloud and miniaturisation may impact investments that are based on the leasing of space. Forecasting is becoming ever more complex because the number of applications used are increasing exponentially as they are implemented and updated more regularly, which is proving to be more demanding of compute resources. For example, the aggregated power demand of the compute for cryptocurrencies is estimated to be already greater than the total energy consumption of Venezuela (placing it within the 40 largest electricity consumers globally). For this reason, ensuring security of supply for the data centre is a major investment priority, and colocation investors may spend as much as 20% of the overall investment on power coming into the data centre. Global cloud providers have already invested in renewable energy sources, as have major investors in data centres such as Goldman Sachs. Supply/demand forecasting for a company with a very large data centre footprint will be easier than for a company with just one or two small DCs, because spare capacity will be easier to bring online. Forecasting must also take into account technological change and technology refresh, because new equipment is more powerful and able to manage higher compute loads without increasing footprint and potentially reducing power consumption. It must also take into consideration the different hosting models available today, or those that will possibly be available in the future, assessing what future workloads are likely to be hosted on a cloud platform or on SaaS. Just as data centres and the IT world have moved on, so too have the requirements for investment. Location has to some extent been superseded by interconnection, the quality of facility has been balanced against access to quality service providers, and resource provision against the technology and expertise to deliver efficiency. Investment needs also to understand emerging factors such as data sovereignty, legislation on foreign business interests, or skills as a resource. As the data centre industry gets more adept at dealing with the resource issues that marked its legacy phase through better practice, more efficient technologies and through cloud computing, data sovereignty represents a new and less tangible challenge to the international free-flow of data. Political stability, the ease of doing business, freedom from corruption and predictable taxation levels are also considered instrumental in reducing the risks of development and costs as well. The need to factor in a long-term view across all issues can be demonstrated by the costs faced to comply with the EU’s General Data Protection Regulation (GDPR) legislation and the considerable potential costs of non-compliance. Specific rates of expected return from data centres vary according to the factors identified through this article and also by the different measures. Most investors and investment advisers view data centres as offering above-average rates of return on investment when compared to other commercial property types. But the lower rates of return calculated for retail compared to wholesale, together with the higher rates expected for any form of colocation that will house cloud, indicate that the investment market is developing target niches as it matures. Learn about the top five trends affecting the future data centre design and construction in our FREE white paper below. It is estimated that, by 2021, 95% of data centre traffic will take place in the cloud, compared with today’s 88%, which will lead to an increase in demand for data centres. With help from Enterprise Ireland, the state-owned agency responsible for the growth of Irish companies on the world market, high-tech construction and engineering companies are creating the most innovative and large-scale data centres around Sweden. On 15 March, Enterprise Ireland is holding an afternoon seminar on the topic of Construction at the World Trade Centre in Stockholm, in which around thirty Irish and Swedish companies will be participating. “Ireland has become one of the most important data centre hubs for many of the world’s technology giants, including Microsoft, Amazon, Google, Dell EMC, Yahoo, IBM, HP, Facebook, Equinix, InterXion and Digital Realty. In addition, the biggest data centre operators in the world have been working together with Irish construction companies to develop innovative and large-scale data centres all around the world, with Sweden continuing to be a priority area,” says Karin Angus, Senior Market Adviser at Enterprise Ireland. There are many reasons why Sweden is a suitable location for data centres. One of the main reasons is the relatively chilly climate, while another is the stable electricity supply, thanks to a production mix of hydro and nuclear power. These then attract companies wanting to set up and manage sustainable data centres. Today, Sweden is ranked number three in the world of the most suitable countries in which to locate a data centre. During the seminar on 15 March, participants will also be given the opportunity to listen to speaker Thomas O’Connor from Irish company Collen Construction, as well as representatives from Business Sweden, the Swedish Construction Federation, the Swedish Transport Administration and the Swedish Association of Public Housing Companies in Stockholm. Ireland’s ambassador to Sweden, Dympna Hayes, and Ireland’s Minister for Culture, Josepha Madigan, will also be present. The project manager is seen as critical to the most effective process of data centre delivery. Of all the job functions in the construction phase, it is seen as the one where specific data centre experience is most critical and which is most responsible in terms of coordinating the different groups involved in the delivery and enabling the process of translating a design into a data centre. The decision-making process for data centres has always been cautious due to the high capital costs involved in the build and fit out, and the fragility of the systems and equipment that the data centre houses. The evolution of the role of the data centre from facilities built to meet the specialist computing needs to those now – enabling a new world of communication, information, leisure and business – puts added urgency into data centre investment decision making. There is a consensus that inadequate or compromised data storage, processing or transmission can threaten the life of an organisation. In a recent DCD survey, 93% of the data centre community agrees that data is an organisation’s most valuable asset. Correct decisions at the pre-commissioning phase will also enable more efficient operations and maintenance through the life of the data centre, thereby improving return on investment as well as future-proofing for new generations of data technology. It also ensures that the project meets legislative requirements that will over time become more stringent. The decision making behind building a data centre is, therefore, changing to reflect the increased importance to the business and the increased risks associated with the process. DCD research conducted over the past decade indicates that more people are involved in the process. The number of parties involved in major data centre decisions (build, extension, major refit/refresh) has increased from an average range of 7-10 per project (2007 research) to 15-20 in 2016. This reflects the increased numbers of technologies and disciplines that the data centre now encompasses, the increased connection with the business, heightened risk aversion and legislative requirements. The major global players with established build programs have therefore made it a priority to ensure they have the resource and skills base necessary to execute those future build programs. Decision making also appears to have become more formalised, less reliant on an open tender and more involved down to items of lower value. Therefore, formal policies, service-level agreements, preferred supplier and tendering and preferred supplier processes have become standard procedures. The people involved in the process reflect the increasing complexity of the process. There has been a move away from dependence on personnel directly involved with IT and facilities within the corporate hierarchy. Now C-Level and senior managers across the organisation are more likely to be actively involved. Broadly, involvement in decisions now reaches far more widely across the organisation and is based more on the skills that staff or partners can contribute and will include external specialists within specially constituted project teams. If the construction is relying on external financing, then investors will also require involvement throughout decision making. Research conducted as part of the Data Centre White Paper indicates no pattern as to the length of the decision-making process. It is subject to the number of decisions that have to be made as part of the process. For example, if the location and the site have already been decided, then the process can focus on the design and construction of the facility. Project management is seen by the market as the means of achieving the proper balance between these factors and also to be the key area in which specialist data centre experience and skills are seen to be critical. While it is considered that a specialist project manager may organise generalist builders and subcontractors in building a data centre, the reverse situation is considered much less likely to be possible. Data centre experience will enable the project manager to add value through reviewing the process and making suggestions for improvement and working out how revisions to the project can be incorporated with minimum disruption into the build process. In terms of project management software, little is known about this, and it is considered very much ‘back office’ – the means to an end. Such software is seen to have value in visualising the process and modelling the impact of changes as well as a source of sharing and updating information. As with design software, the value is seen in the consultants and managers using it and making recommendations on the basis of the information it provides. Hanley Energy plays a key role in protecting data centres from problems caused by power supply issues. Vast amounts of data – including the photos, videos and business documents we upload every day to ‘the cloud’ – are stored in these centres on reams of servers, running day and night. Any brief power outages, slumps or spikes could do lasting damage to equipment, and to a company’s reputation. Ireland has become a popular location for data centres, and Hanley Energy first began working with a large data provider in 2012. The company now provides, on average, four megawatts of backup power to data centres every six weeks, having installed 120 and 150 megawatts of UPS (uninterruptible power supply) so far. “Anyone can supply hardware,” Nordon comments, “but we bring integration expertise. Along with hardware and peripheral equipment, we provide the control layer which tells the system when to switch over to UPS.” As a result, the company has racked up customers across Europe, opening its European headquarters in Frankfurt in 2014, United States headquarters near Washington DC in 2016 and setting up a sales and service office in Stockholm in 2017. A South Africa office will open shortly. The company is also proud of its speed and flexibility regarding customer service. 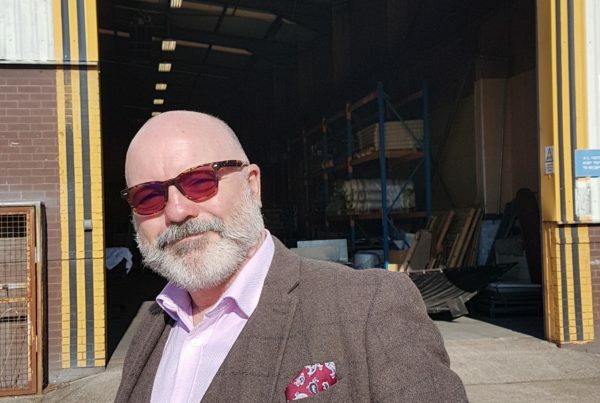 “We’re constantly coming up with new products, such as an EPMS (event and power management system), designed from the ground up, for one of our larger data centre clients,” says Nordon. This system hooks into all the hardware, monitoring the power situation and giving live updates on a user-friendly interface. If there’s an issue, Hanley Energy has a two-hour call-out promise for many of its customers. With its strong reputation and good network in the data centre world, Hanley has a growing number of global customers, including Continent 8 Technologies – a company with data centres across Europe, Asia and the Americas. “Hanley Energy’s service as a supplier is invaluable to the data centre environment we operate in,” says Wesley Smith, Head of Global Facilities at Continent 8. “It’s essential that Continent 8 has a knowledgeable, fluid supplier that can react quickly to the critical nature of our business. “I have consistently found that Hanley Energy are always informed regarding the latest developments in technology and Hanley staff are always on hand to offer the correct solution for our business,” adds Smith. 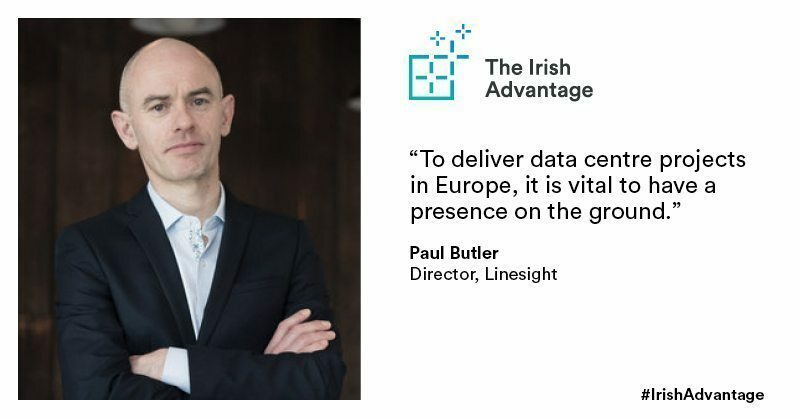 Dublin, along with London, Frankfurt and Stockholm, is now a key European data centre hub, ensuring the flow of information across the continent – a flow that is set to continue with the further digitisation of home consumer items and cloud storage. Hanley Energy will be there to help keep it running smoothly. John Hunt, Senior Market Adviser for the Construction Sector at Enterprise Ireland, describes the top trends that will shape the data centre sector in 2018. In an ever-evolving digital world, rapid technological change is driving data centre growth, creating facilities which are larger, denser, more converged and scalable than ever before. According to a new Enterprise Ireland white paper, produced in conjunction with Data Centre Dynamics Group, the population’s insatiable appetite for secure, connected, mobile information has led to the evolution of ‘hyperscale facilities’, which has important implications for data centre procurement, design and construction. Ireland is at the forefront of change in this area, having quickly established itself as one of the world’s most influential data centre hubs. Microsoft, Google, Yahoo, HP and Dell EMC all acknowledge Ireland’s expertise, innovation and capabilities to deliver complex data centre solutions , giving Ireland an increasingly competitive edge. As cloud-based technologies, the Internet of Things and 5G continue to drive demand, ‘digital twinning’ between the real and cyber world will grow. This will facilitate the development of smart communities, towns and cities, highlighting an increase in the value of data and demand for larger data facilities. 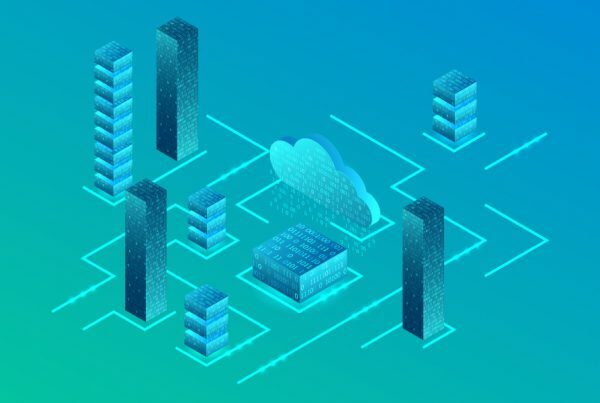 While advancements in cloud-based technologies are the driving forces behind the new data centre era, there are connections and learnings between hyperscale and smaller facilities. Make sure you capitalise on these parallels for maximum impact. Build sector companies should ensure they are prepared for a new era of digital transformation and edge computing which are rapidly gaining momentum. For enterprise companies looking to move from in-house data centres provided externally and juggling outsourcing options, it is important to implement processes to better manage data centre facilities. As 2018 unfolds, make sure you keep an eye on these trends, which may help shape your business. To find your Irish partner today, contact John Hunt, Senior Market Adviser at Enterprise Ireland. Capability – that the role and contribution of project parties lie within their expertise and capabilities, and that these are optimised through the process. Flexibility – that the process is able to accommodate changes whether these come from the client, from within the process (for example, through review and Continuous Quality Improvement systems (CQI), or from outside the process (weather, financial or compliance issues etc.). Process control and integration – ensuring that the logistics of the process are directed to the agreed delivery outcomes efficiently, on-time and on-budget. Validation and quality improvement so that the expertise and resources deployed on the project can be used to improve the outcome. The capabilities of the commissioning company act as the starting point for the logistics of the construction process. Companies will vary enormously in their expertise in data centre design, project management and operations and will need to adapt their role accordingly and to rely on external experts where necessary. If they wish to minimise their involvement with the design/build process, then the option of buying ‘off the shelf’ from a developer, a Real Estate Investment Trust (REIT) or in modular form may be preferable. 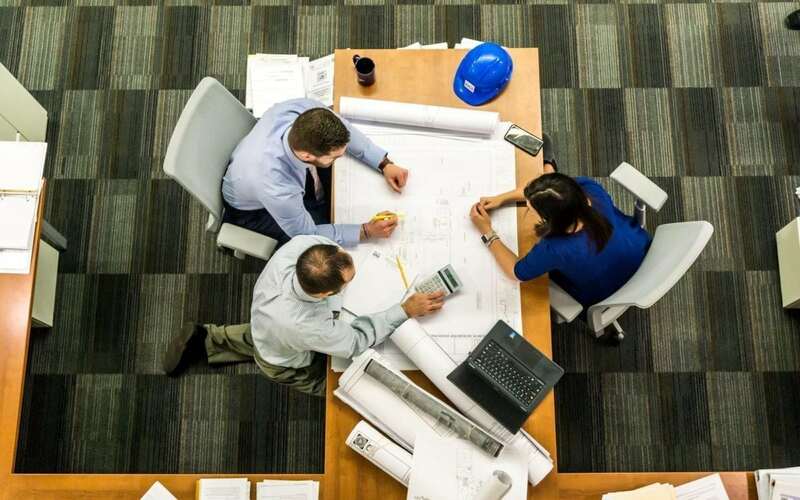 The traditional design – bid – build model puts the onus on the client to manage the process and integrate the players within it as well as dealing with some of the project variations and revisions that may emerge as issues are passed from one stage to the next. Some of the complexities can be reduced by using fewer contractors and developing a truer partnership than is usually the case with the established customer/supplier model. This can, however, put greater pressure on the client company to oversee and validate the process. Internal management is reported in the research as leading to problems with subcontractors, particularly where there is no prior working relationship, where logistical problems occur and where there is the need to work through and validate approaches independently before commissioning. This accounts for the very high use of specialist project management professionals and companies across construction activity since the project manager is seen as a key point of intersection between the strategy driving the construction and the process of delivery. Very few data centre construction projects move from design through to commission without some change caused by the re-definition of client requirement, changing legal or compliance requirements, cost/financial issues or modifications made as the project takes shape or as elements of it are tested. There is a consensus among the research that projects which do not build in alternative or contingency scenarios are more likely to suffer major disruption through cost and time overruns and this compromises the ability to work the asset sooner and achieve a more rapid return on investment. The need for flexibility is also mentioned as a major reason for considering modular construction methods. Flexibility is seen to be made further possible through the attributes of networks, particularly at the subcontractor level so that if there is a problem with a particular element of construction or fit-out, then a replacement can be found. It is also associated with expertise and specialist experience in data centre construction so that learnings from previous projects can be applied to unforeseen situations on the current build. The final two attributes – integration and validation – represent two sides of the same coin. As projects get more complex and involve greater numbers of people and companies, integration will be more critical and more demanding. Yet the greater number of parties involved also creates a greater possibility of review of the process so far and suggestions for improvement. Integration is described in almost ‘symphonic’ terms – as the coordination of different skills and functions towards a shared construction goal. Again, a number of things that have worked are identified as well as a few that have not. One of the keys to successful integration is to involve all relevant contractors and suppliers with all the information they need to know. This does not mean that every subcontractor needs full details of the business strategy behind the construction, but it does mean that there is an understanding among the key personnel of the thinking behind the project. This sharing opens up the potential for greater validation and improved outcomes. It may also prevent the project looping when the same problems need to be dealt with repeatedly. Conversely, integration is only seen to work if the client is kept informed of all decisions made that impact the core delivery, and, perhaps obviously, any that represent a variation from the original agreement. Partly as a result of the increased capabilities offered by major global suppliers and towards standardisation, modularity and convergence, there is a trend toward a single provider of facility components, including enclosures, power distribution and protection, cooling, cabling and monitoring, rather than relying on different specialist providers. This is designed also to make the data centre maintenance/upkeep process afterwards more streamlined. Effective integration is considered as most critical in the event of problems since it will enable a clear path back to the source and cause of a problem, and a course of remedial action. The process of validation needs to be part of a wider and agreed quality control system through the project. While the focus of validation would be on the delivery of the construction, it may also cover the review of decisions on equipment, subcontractors and working conditions and ensure that the client’s interests are maintained. Validation will bring in specialists across the process – in structural/‘shell’ work, heating, ventilation, and air conditioning (HVAC), power distribution, equipment fit-out and infrastructure, and testing of components for efficiency or resilience prior to commission. Further specialists will be needed in particular situations, for example, to increase the connectivity to and from the site, particular requirements of utilities or government. Other required expertise includes skills in modifying within existing buildings. While most headline data centres are green field construction projects, the vast majority of data centres, especially enterprise are located in buildings they share with other corporate activities. As with any commercial undertaking, it is important to establish the methodology for validation and for quality control from the outset and communicate that to all parties. Just as the design will provide the blueprint for the end construction, so the quality model will provide the blueprint for the process whereby it is achieved. A global construction consultancy firm with over 40 years’ experience and 17 offices around the world, Linesight supports Tier One clients in a range of sectors, including Data Centres, Commercial, Life Sciences, Transportation and Infrastructure, Healthcare and Retail. To date, Linesight has worked on 158 data centre facilities, delivering over 2300MW of critical power and 20 million sq.ft. of white space. Linesight’s proven track record for quality and timely delivery of projects helped them to quickly build the business in the Netherlands. The firm adopts a partnership approach with clients that is built on clarity and consistency. Excellence in service and personnel have proven to be a key differentiator. 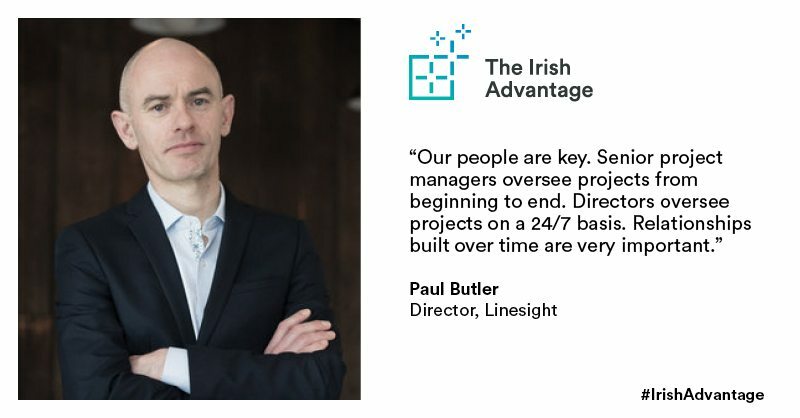 While building their presence in the Dutch market, Linesight invested time in ensuring it had the right contractors and partners to deliver projects to the required standard, and established local regulatory expertise in relation to construction, planning codes and timeframes. The company has replicated the approach across the world, working on 47 data centre projects in the US, 24 in the Middle East, 43 in the UK and Ireland, 18 across Europe, and many more across Australia, Southeast Asia and South Africa. Linesight works with 9 out of 10 of the largest data center owner occupiers, colocation and cloud providers in the world, with clients in recent years including Global Switch, Digital Realty and RagingWire. Butler describes the advantage that has helped them to achieve that position, “What differentiates us, in addition to our people, is the fact that we are an ‘all-in’ company and can provide Cost Management, Project Management, and Risk and Schedule Assessment. This is vital for a lot of big multinationals,” explains Butler. As projects in the Netherlands neared completion, Linesight extended its network to continue working with clients in additional locations. Gaining a foothold in the Netherlands helped the company to expand in Germany, Belgium and the Nordics, with the Dutch Data Centre business acting as a hub for growing additional sectors and European markets.